Boomr is a modern time tracking solution that keeps employees connected to each other in real-time. Designed for business, our intelligent mobile apps and visual management dashboard offer a unique, cloud-based solution to keep your workforce running at optimal efficiency. The thing that I like the most about Boomr is its mobile application for all operating systems. Being able to access Boomr on any mobile device through its application makes it easy and convenient - you don't have to login every time you need to get in your Boomr account. The Boomr mobile application makes it easy to log hours and track work. Another feature that I enjoy about Boomr is its GPS tracking capabilities. This is probably the feature I use the most besides logging work hours in the application - it automates the process so you aren't manually logging location information. I dislike that the Boomr application doesn't offer the capability to total work hours automatically. This has to be initiated by the user which is just an extra step that seems unnecessary when it would be easy for the application to total hours automatically. Another feature that I'm not able to do with Boomr (in its mobile app) is the ability to edit my employees hours. Once hours are logged, they can't be manually edited via the app. Boomr makes the entire time tracking process automated and from my experience with the product - it would benefit companies of all sizes because it offers a streamlined way to manage employee hours. While having a human behind the time system has always worked, automating the process through Boomr is a way to ensure no human errors are made. Time tracking used to be something that an individual - or in my current companies case - a whole team of individuals - was in charge of manually tracking and monitoring. Since we began to use Boomr, the process has been totally automated and easy for employees and managers alike. This has made the time tracking process more intelligent, stable and reliable. "3.5 weeks into trial, we have enjoyed using Boomr for our company's employee time tracking." We are still "playing" with the app and staff are learning to use it but overall, we like the convenience of live tracking of employee time. This is beneficial when it comes to processing payroll. We can modify/approve shifts during the week as time allows right before processing payroll. Lots of flexibility. Its still new to us and the company has very good customer service to answer questions regarding the product features, etc. We plan to continue our subscription. While we like the app overall, we have encountered some limitations with reports, geofence sensitivities, etc. There are some additional features that we would like to see added in the future, I've discussed some with customer service and they have indicated that there are efforts to continually improve add-on features. "Great hours tracking for hourly employees"
Boomr is super easy to use at very affordable price. We are currently using Boomr for hourly employees only. You can either ask the employee to check in and check out at the exact time or enter a set time each day. Managers can easily approved it each day or right before payroll. They also have app for smartphones and it's very useful for logging the hours. We have been using Boomr for three months now. The only problem we have is that once you add a shift, you will not be able to delete it or edit it to zero minutes. We have only used the time sheet feature for hourly employees. With Boomr, we can access to hourly employee's record very easily. And the reporting for hourly employee's hours for each payroll is much easier. "Timeclock software website works great, with lots of features." I love the BambooHR communication this website has. It allows us to save time and auto-calculate PTO accumulation. There are a lot of other features available too! We cannot fix clock-in/clock-out errors while the employee is still clocked in. Use this for clock-in software if you use BambooHR. Saving time and keeping track of payroll with minimal input from our staff or managers, this benefits us by giving us more time to work on other tasks. "Has some potential, but could be better"
I like how convenient and mobile-friendly it is; the app makes logging work hours a lot easier. I also like how it keeps track of hours for break time and hours for actually working. I often forget to check in whenever I come into work, so a notification system reminding me to check in before coming into work would be nice. An automatic check-in that's based on my location relative to my workplace would be helpful too. I have also been experiencing a lot of technical difficulties with the app, but I don't know if it is because I own a iPhone 4 or not. As my organization is a tiny non-profit, we do not have official methods for logging hours (ie. timecard or website for logging hours). Boomr helps solve this problem by allowing us to log hours with a portable device that we already have - our phones. Thank you for the feedback, and for being a valued Boomr user! Our team is working hard on a lot of exciting new features and a completely revamped mobile experience. Your concerns about forgetting to check in are valid, and I am excited for you to see the some of the features that are coming soon as they will address this issue. I appreciate your patience as we put the finishing touches on this new technology! 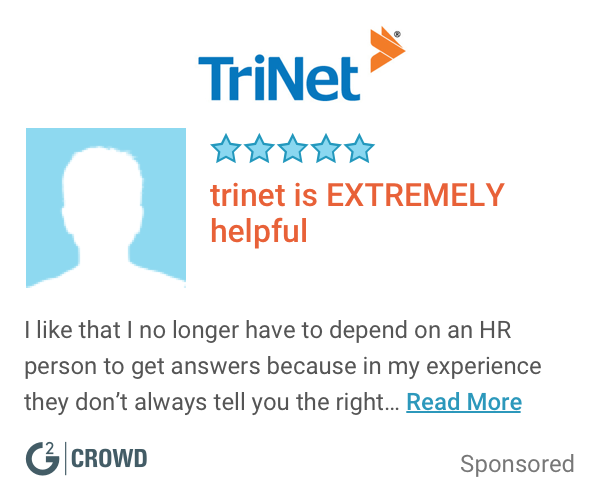 "Overall a functional and efficient tool for time tracking"
Overall I really like this product and there isn't really much to complain about from the employee/user side. I know, from hearing my boss talk about it, that there are some variations that could be made on the administrative side that would make things easier, like making the app total the workers hours automatically. I know for myself, as an employee and user of this app that I would definitely recommend this product to other workers, especially those that move around a lot between job sites. The benefits that I have experienced from this app is that it is a real time saver. I used to have to keep a journal with me at all times and write down what job site I was at, along with notes about what I had worked on. With this app all the job sites are pre-loaded and it just streamlines the process a lot more. "Spot-on solution for companies that desire efficient, exacting timekeeping & payroll solution"
I would like to be able to adjust employees time in the phone app. If this is a current feature, I haven't been able to get it to work. TRY IT! I was so thrilled to see new vendors coming on to Boomr that I couldn't NOT recommend them. I haven't heard of the two new companies Boomr is integrating with, but I have seen the frustrations first-hand working with traditional systems. I encourage you to try Boomr. I tried it right when I launched my own company and haven't ever switched. They are incredible. Time, time and time. As a small business owner, processing payroll under a traditional system such as ADP would be cumbersome at best (even though I am very familiar with their system). Boomr has streamlined and teched out timekeeping. THANK YOU!!! I personally like how easy it is for me to get into my account. There tend to be small drops in service from time to time, however, this could be any issue in the system and not just a Boomr problem. To ensure good quality with this service you also have to keep in mind the services surrounding it. "Quality" is only as good as your worst quality area. So things to keep in mind are the device you use for this service, the internet service you expect Boomr to operate with, the individuals in charge of managing the service. All of these things collectively will create a good quality experience. Boomr is a strong part of that, but it is in no way stand alone. There has always been and will always be a person on the back end of a company that is required to keep track of time on the clock and ensure everyone is compensated appropriately. Boomr not only makes that so easy to track, but it also adds integrity and accountability to the entire process. "Your word against mine" is never an issue, because it's your word against a recorded document instead. I wish there were an easier way to read your total time for a shift, or a "lunch out" button. So when you clock out for lunch, you don't have to start a whole new time tracker. It would help to verify that your daily time is under the 8 hour mark as required by many companies. This is a very simple system to use and not complicated at all. With the technology advancements these days, it is the way to go. There is no need for a computer system, there is old school paper punching system, it is all accessible at your fingertips. It is simple and Amazing! The biggest problem that we have been able to solve is people able to track their own time and not need a sophisticated complex system to track your hours. It is a simple button or two and you are ready to begin working. The biggest benefit I have noticed is how the employees have immediate access to their clock in and clock out functions and able to take ownership for their time. Occasionally, when I go to adjust an employees hours, I can't manually adjust it. When I go to type in the time, the box goes blank. It's very easy to use. It can be difficult to remember to login, since most people aren't used to logging in from their phones. Possibly putting up a sign reminding people to sign in may be a good practice. We are a tech company. Anything we can do to make our employees experience online, the better we are off. Since I can login as I'm walking into the office, I don't have to worry about logging in to another application once I get to my computer. "Best way to keep hours while ensuring the boss"
Wish this had way to get directions to worksite. Like a built-in Google maps. Other than that this app is so easy. So easy to use while so complex that it keeps all the information you need when you need it. Loving it. Must have for any kind of field tech. Hours Keeping and money calculator. Also helps keep job sites on list and time so I know when to go. Also displays address of site. I think this is a great app for field techs. one of the only things I disliked about Boomr is their lack of integrated features such as with qucikbooks for payroll and such. "Simple and affordable time tracking "
The "Checking in" and "Checking Out" process is very intuitive and easy to follow. Not a complicated system at all. Boomr provides an affordable, easy to follow and understand, and reliable method of time tracking for hourly employees. We've been very pleased with the program and the support and would highly recommend the product. Before using Boomr, we had to rely on handwritten time sheets. That obviously has all kinds of issues associated with it so Boomr has enabled us to be much more accurate and to pay for the actual time worked. This has helped eliminate a tedious process and also kept people more honest about their working hours. WHen sing the clock in feature, and not the add-shift feature, it can be hard to edit the shift if the hours are off. The ability to add/edit/delete shift on your phone with a few simple clicks. The awesome support...don't need to say much more than that. Boomr is the best way to track time. As an employee, having a digital way to sign in to work is awesome. I love being able to not worry about the old paper and pencil method. It is simple to open, sign in, and close. It also tracks shifts. I would recommend it to every organization and business. Boomr makes a once complicated process, simple. My only dislike it that it signs my profile out every once in a while. It takes a short amount of time to log back in, but It should not log someone out if they do not click sign out. That is the only dislike that I can think of. I am solving the problem of keeping track of time and shifts. The pencil and paper method took a longer amount of time. Boomr also has helped me realize that you can use technology to help in a way that you never thought possible..
"Very easy, convenient time tracking app!" Its ease of use, and how I can track time at multiple locations. Its great, knowing where all my workers are, and if they are checked in. It seems through the app, I am unable to make corrections to time tracked. For example, if someone forgets to clock out I havent been able to figure out how to make an adjustment. I would recommend this to anyone in need of an easy to use time tracking product. However, there are other similar products on the market that have more features ( for a higher price tag) of course. So for the price, you really can't beat what Boomr has to offer. It is my primary time tracker for payroll. At the end of the week, its easy to total up everyones hours. It even gives a dollar amount if you set the rate of pay. "It's a great, easy way to track my hours and know how much I will get paid"
It's easy to use and I can see my daily earnings. I feel like even the most technologically unintelligent people can still manage to use this tool. As long as they are able to open an app on their phone they should be able to use Boomr. I would love to be able to see how much I've earned each week totaled up at the end. I'm not sure it matters, but the layout is not very pretty. Make sure your employees all have smart phones. Boomer made a lot of updates to its app. I like that I can go back and edit my work time in case I missed a check in or I accidently checked out early. The break feature is also convenient. Boomr sometimes crashes without cause, but it quickly recovers and is fully functional. At this time I have no improvements for the app. I recommend that users be aware that sometimes you may check-in or out inadvertently. Also in that same vain sometimes you may forget to finish checking in or out. Boomr recently fixed that problem by allowing users to edit their time shifts which was a great addition. Boomr solves the payroll tracking problem. The main benefit to this app is that puts the responsibility in the employee to track their time. It is also a very convenient app since most of our work is done on mobile devices. "This product helps with being in time and knowing my exact task and thee exact amount of time spent "
10 everyone in our company uses this app and it shows exactly where every employee is located and exactly which task they are doing and the amount of time each employee is on a specific job and task. I like everything about the app so far! I am about to keep thee exact amount of time on each task at work. Yes I would highly recommend this product! Being on time with everything and a specific task at work. 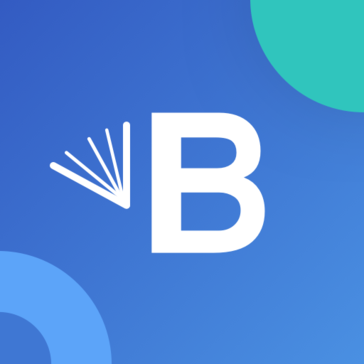 What I like best about boomr is how easy it is to use. I also love that I don't have to keep up with the hours I've worked because boomr does that for me! Clocking in as easy as a click of a button when I get there and when I leave. The one thing that I dislike about using boomr at my job is that there's no where to leave comments. Sometimes I accidentally forget to check in or check out and I think it would be very helpful if I could make a comment on there saying these things. Boomr helps our business problem of keeping track of the hours each employee has worked. A benefit from using boomr is how easy it is to manage the hours. My manager can edit my hours which I can see as being a potential con but for me it has only been a bonus cause when I have forgotten to clock out my manager accurately edited my hours. We used to have to manually tally all workers hours and overtime hours but don't have to do that anymore. "So easy to use! I love it!" I enjoy its ease of use. I can sign in and check in, in a matter of seconds! It has a GPS to let my boss know that I am Checking in at work and not at home or around the corner. It helps keep everyone accountable. I wish there was an edit feature that I can write a not to my boss about a missed check in or an edit for lunch break times. Or have a reminder to check back in after lunch. DO it! New year, new products! This will help keep everyone accountable even yourself. I like that it has the GPS of where you check into to monitor if people are using the system correctly. "Good App for Time Logging "
I love that Boomr is mobile and easy to use. I also like that you can add locations to clock in from. This is a simple way to keep track of your employees time cards. It also is nice to see how many hours I've worked per pay period. Sometimes it won't sign in or out. And the support team doesn't know how to help me. The other issue is when I can't clock in, I have to have my manager edit my hours because I don't have the capabilities. I understand why... but it's a pain when you have to do it often. We use Boomr to track our hours at work. It is easy to use! "Great app for time keeping "
Boomr is a great application to use instead of traditional paper or electronic time cards. Its extremely easy to check-in and out and look back over previous work days or weeks. I especially like that it shows, based on my wage, my earning per day I work. I like that it also has the feature to "take a break" and resume work afterwards. My employer and I use it to track my efficiency in a manufacturing setting. I like its simple interface, that it has all the right functions, and the ease of getting started using it. I definitely recommend this app. When I first started using the app it took me a few tries to remember to check-in and then confirm check-in again. Other than that, it has been great. This app helps me manage my weekly hours and work on efficiency. It presents data from my past work weeks in an easy to interpret way and lets me see where I can improve in efficiency and productivity. "Very useful but very buggy"
It makes keeping time for the consulting work i do really really easy. As far as the interface i see, there's not a lot to do so the app is really quick and simple to use. Buggy! I've used this on ios and android and other people i have talked to also agree that's it's very buggy. Usually when i open the app it will crash and reopen itself. Sometimes it just sits there and i have to wait a minute or so for it to do anything. Makes tracking my time much easier. I don't have to worry about rounding down or up for my time since it's accurately kept. "We use Boomr to track hours for managers in training while they are training at our headquarters." Simplicity of it. Trainees can figure the app out in no time at all! I've had issues with the locations not being recognized before. This is a faily uncommon issue, but I wish tha I could "override" the location service. Eliminating time theft issues of people tracking their hours. Payroll has seen a benefit because they don't have to guess on how many hours have been worked. "I Love Boomr for keeping track of my hours worked, it keeps me and my employer on the same page"
Thank you Boomr your Rock! "Boomr, So easy. So intuitive." Ease of use. The look and feel are beautiful. Sometimes the app will crash. I have noticed this mainly when transitioning out of wifi to LTE. The problem was we never had a great way to track hours. Until now! "Boomer Review from someone using it as an employee"
While I have only used Boomr briefly, I've come to love it. It makes time tracking so effortless. During my use there wasn't anything I disliked about Boomr. It was such an improvement to the time tracking software I was previously using. What I like most about Boomr is that it has a mobile app feature so you don't have to physically be at the office to enter your time. Boomr is super user-friendly and is accessible while on the go through their mobile app. This makes time tracking very efficient. I love how straightforward the app is. If you need a simple timestamp soft this is the software for you. It is worth trying it out. We even have some salary employees use it to keep track of their breaks. It only allows employees to clock in via their smartphones if they are close or in the building. "I use Boomr to help my boss keep track of when I am working even when I am not present in the office"
I like how simple it is. There are only really two steps you need to do and you are checked in at work. I wish that you could change locations during the workday. My job requires me to attend many meetings and it would help if I could switch locations during the workday without having to log out. Set yourself an alarm of when to long out in case you always forget like I do. The benefits of simple timekeeping. My company requires that I sign in and out of locations constantly. I love the fact that this app allows me to do this quickly and effectively. I am able to see when I worked in past weeks as well to work on time sheets. All in all solid app. It does require internet to function. You can't check in and out when there's no service. Fortunately I have yet to encounter a scenario where this was an issue for me. It allows managers to keep track of where their employees are going and how long they spend at locations. It also gives me some credibility if it takes me longer to do a certain job. I was an install technician and recently promoted to Warehouse Manager. I have seen the benefits as the tech, and now the logistics side of it. I wish that I could see a total of how much I've made/how long I've worked in weekly increments and not just daily. Treats employees like adults and doesn't tie them to having to make it to the check-in clock within a certain timeframe. I like that this app provides accountability for my work throughout the day. I work on the road and like to show my supervisors the many stops I take throughout the day. I wish the map was linked to google maps, so that I wouldn't have to manually name the location I am at each time I arrive to check in. I like that its convenient the world is full of technology and it just getting bigger and better. I love the concept of this app. Its super easy to use. But it has defects in numerous occasions it has logged me out on its own it has frozen and told me i'm not at the place where i am located in. Making sure employees are coming in on time. Boomr is an easy to use app that makes keeping up with work simple. I have to reveal my location to check in. Get it for sure. It helps establish accountability. Boomr helps us all keep up with when we work so we no longer have to manually record our time. It allows for peace of mind when it comes to logging time and filling out the payroll. Sometimes I get logged out of the program. It's still under review but I think it's a good product! No desktop version. It doesn't work very well on older phones. Thanks for taking some time to write a review about your experience using Boomr. We appreciate your feedback about us needing a desktop version! This particular feature is currently in development and we will be sure to notify you when it is available for you to use. We are also constantly pushing new app updates to resolve performance issues, particularly for older devices. Feel free to email our friendly support team at support@boomr.com with any issues specific to your account that you would like us to look into further. Thanks! "Best clock in service "
The best part about boomr is that it is a smartphone app, so it makes it easy and convenient to clock in and out of my work place. I don't dislike anything, aside from maybe being asked to review it on the app store constantly. We're solving the problem of using inconvenient methods to keep track of our time. With the app on my phone, I always remember to clock in and out of my office, as opposed to sometimes logging out of a computer without clocking out, then having to go back later and manually edit my time sheet. "Functional yet needs improvement "
The thing I dislike the most with boomr is the lack of geolocation functionality. Adding a feature that would enable geolocation tracking would help remind me of checking in. The only feature that I find inconvenient sometimes is that when you try to alter someones time it only goes in increments of 15 not one at a time. Having all information about the employees working hours and locations all in one place. "Such a great service! " The simplicity and effectiveness. The fact that it is on my phone makes life a whole lot easier. Nothing, Boomr works as well as you could imagine! The annoyance of having to log in somewhere to clock in and out. With boomr, it is on your phone and you are clocked in with two clicks. "Boomr has helped me greatly at my job. Working events, or remote has never been easier." Remote Check-in options, create new location options - Past hourly reports. No notifications, warnings or reminder options. Clocking in and out are extremely easy as well as making sure I've worked enough hours and clocked my hours correctly. I can use it to calculate my overtime much better letting me budget easier. Boomr is a great tool for our time clock. I work at a remote location and I can clock in and out as though I am at the home base. Works great and always reliable. Good and simple timecard app. Records my shifts easily and reliably. App stability could be better, frequently drops internet connection. Keeping track of my work shifts. Being able to accurately record time I spend working and be paid instantly. * We monitor all Boomr reviews to prevent fraudulent reviews and keep review quality high. We do not post reviews by company employees or direct competitors. Validated reviews require the user to submit a screenshot of the product containing their user ID, in order to verify a user is an actual user of the product. Hi there! Are you looking to implement a solution like Boomr?